Are you guilty of these misunderstandings? About the times (1-4). People believe the weather report but not God’s Word! They fail to see what God is doing in His world. Keep your eyes open, and ask God for wisdom to understand His plan. About false doctrine (5-12). Jesus compared false doctrine to yeast. It appears small and insignificant, but it grows secretly and soon permeates everything (Gal. 5:9). The only remedy is to remove it (1 Cor. 5:6-7). About Jesus Christ (13-20). The crowd is confused about Jesus; do not follow it. Instead, let the Father reveal the Savior to you (11:25-27), and confess Him before others. He is the Son of God. About discipleship (21-28). In his misguided attempt to keep Jesus from suffering and dying, Peter the stone became Peter the stumbling block. 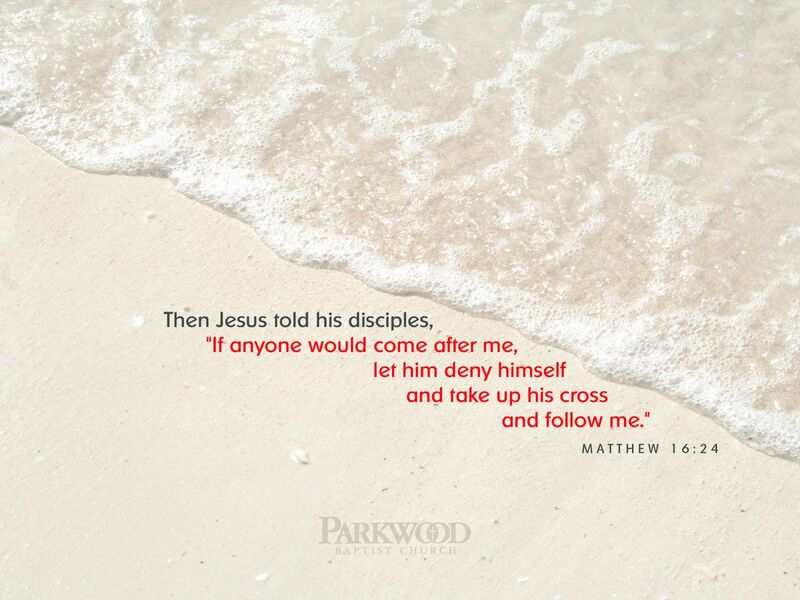 Confessing Christ must lead to following Christ. The world encourages you to pamper yourself, but the Lord calls you to deny yourself. The only way to live is to die to self and follow Christ by faith. The name Peter means “a stone” (John 1:40-42). All of God’s people are “living stones,” but Jesus is the Rock (1 Pet. 2:4-8; Acts 4:11-12; Ps. 118:22), and His church is built on Him (1 Cor. 3:11). Whoever confesses faith in Christ becomes a living stone built into the spiritual temple (Eph. 2:19-22). Peter was given not the keys of heaven, for Jesus holds them (Rev. 1:18), but the “keys of the kingdom of heaven” (Matt. 16:19). He had the privilege of opening “the door of faith” (Acts 14:27) to the Jews at Pentecost (Acts 2), the Samaritans (Acts 8:14ff. ), and the Gentiles (Acts 10). O Lord, let my worship to you always be true and without hypocrisy. Pray that the Holy Spirit will give you a greater knowledge and understanding of the Lord Jesus Christ. Pray against every “gate of hell” (opposition) against our church.